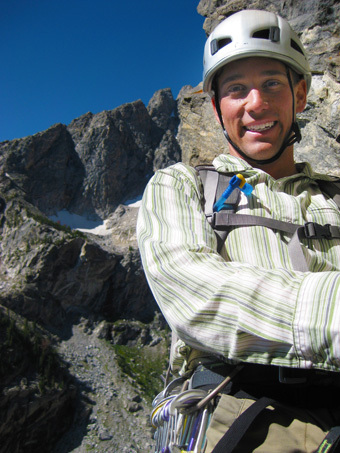 Mark is a fully certified and internationally licensed IFMGA/AMGA Mountain Guide. Experience includes extensive climbing and mountaineering throughout the western United States, the Italian Dolomites, Southeast Asia, and South America, as well as ski descents throughout the Western US, Alaska, and Europe. Mark works as a ski patroller and avalanche educator at Aspen/Snowmass in the winter and as a full-time mountain guide in the summer. He guides for Exum Mountain Guides and Rainier Mountaineering, Inc. Mark also manages climbing, canyoneering, and outdoor education programs for several organizations, is a qualified AIARE 1 and AIARE 2 Avalanche Education Course Leader, and is an American Avalanche Association Certified Instructor.